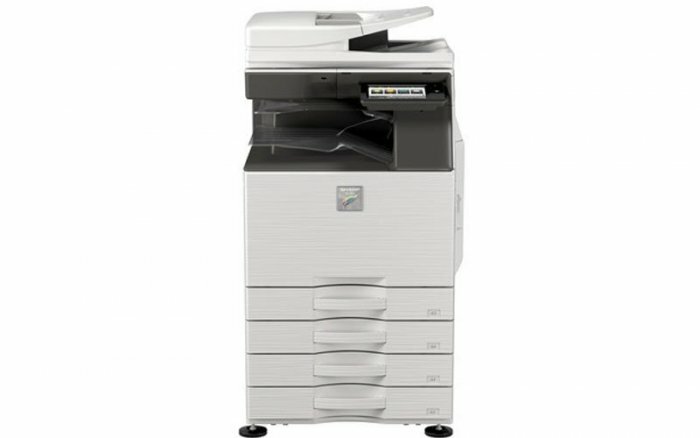 The Sharp MX-2651 A3 colour device offers a range of options and upgrades making it adaptable to your future needs. They optimise productivity and are ideal for any busy workgroup that needs high performance, high quality colour and versatility. Support for a secondary LAN (optional) provides simultaneous support for two networks. 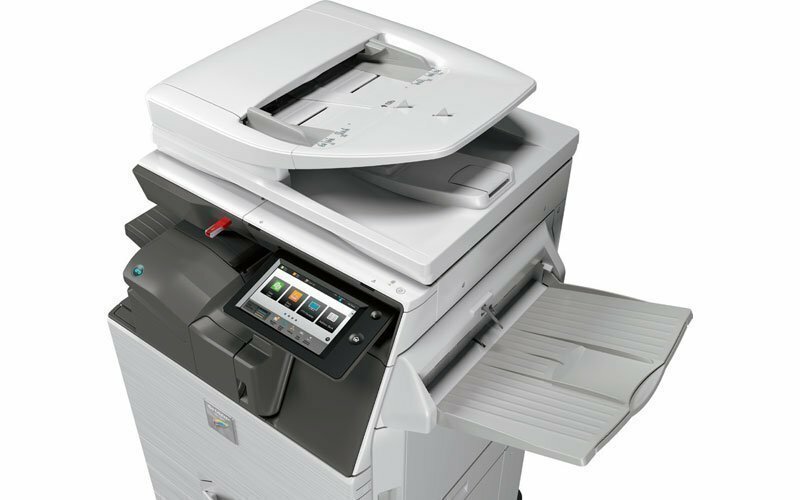 The Print Release function allows users to send and store documents to a main MFP, which acts as a server. 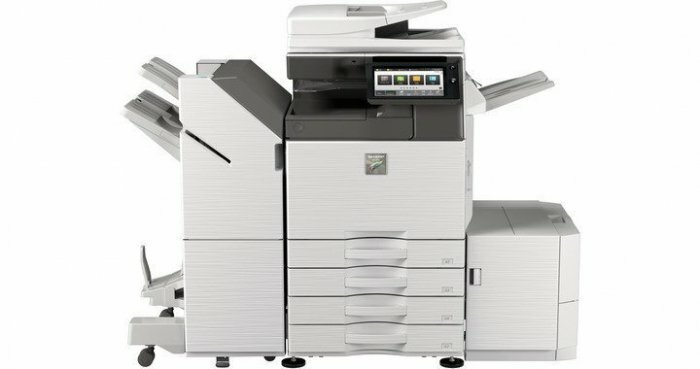 Thus allowing print jobs to be securely released at up to five connected network-ready devices. Optional workflow enhancing features include Single Sign-On cloud connectivity, mobile connectivity via Wi-Fi and USB direct printing of MS Office files. 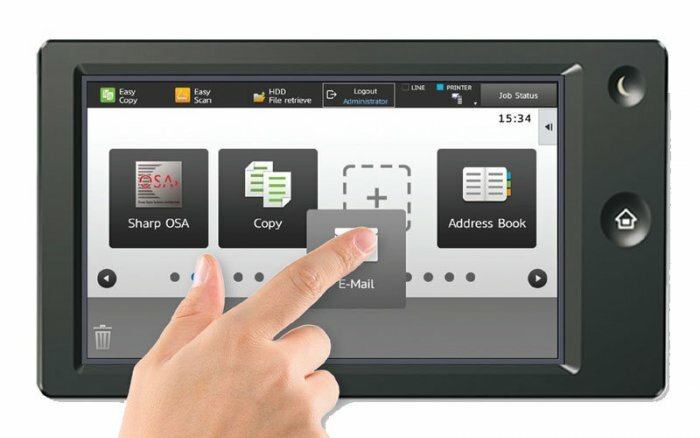 Sharp MX-2651: To increase business productivity sometimes you just need technology that helps you do things more efficiently. 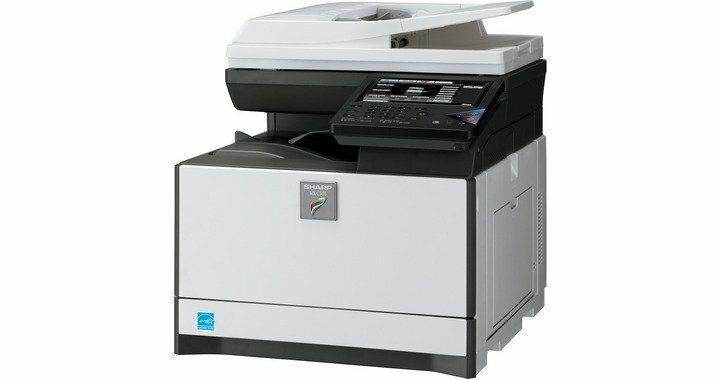 A tiltable 10.1” colour LCD touchscreen provides the ability to drag and drop frequently used icons. This enables simple customisation of the home screen. Also, communication lamps show the MFP’s current status. 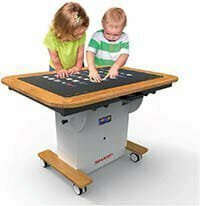 Everyday operation is simple and intuitive; just touch, tap, pinch and spread or swipe for instant access to every feature. 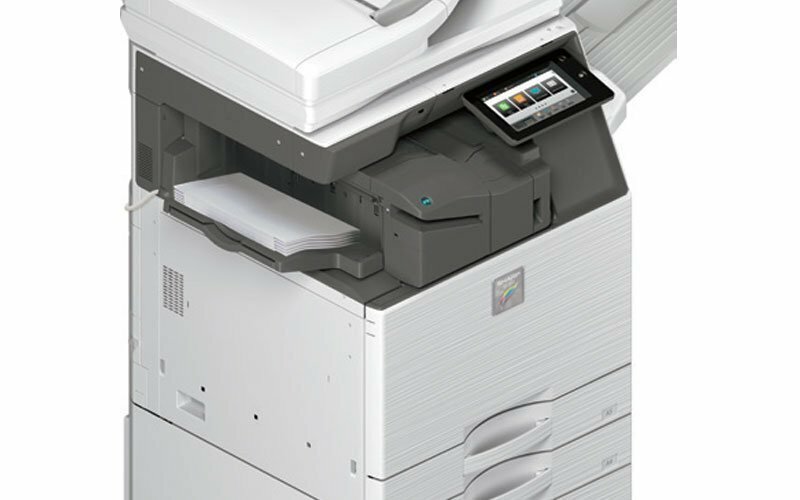 Print and copy speeds of up to 26 ppm in colour and black & white, a built-in 100-sheet Reversing Single Pass Feeder and a scan speed of up to 80 ipm all help to boost efficiency and productivity. 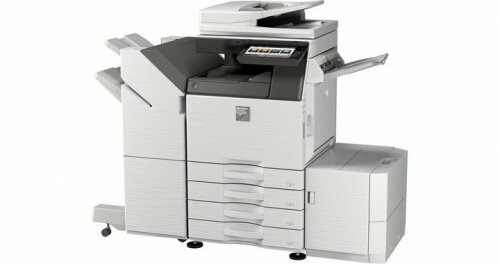 Constant high image quality is guaranteed thanks to the auto process control and 600 x 600 dpi print resolution. A maximum paper capacity of 6,300 sheets and support for a wide range of media (up to SRA3 and 300 gsm) enables this device to handle varied output requirements with ease. And a selection variety of finishing options such as saddle stitching, manual and stapleless stapling add further versatility. A range of robust security features keep your data and network safe. These include access control, data encryption and S/MIME as well as a self-healing firmware system, SSL certificate validation and a programme execution white list. 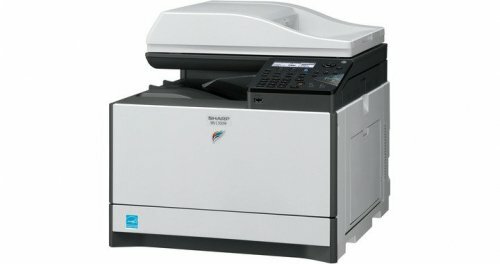 The MX-2651 uses Sharp’s latest energy-saving technology. A rapid warm up time, low power consumption and low TEC value all aim to save money and support your environmental objectives. 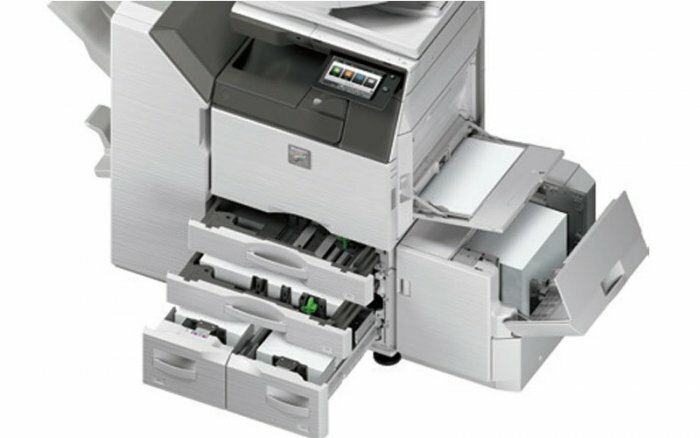 In addition, the automatic toner cartridge eject function ensures that all toner has been consumed, thereby saving resources. Would you like a Quick Quote? Please select the products you are interested in.